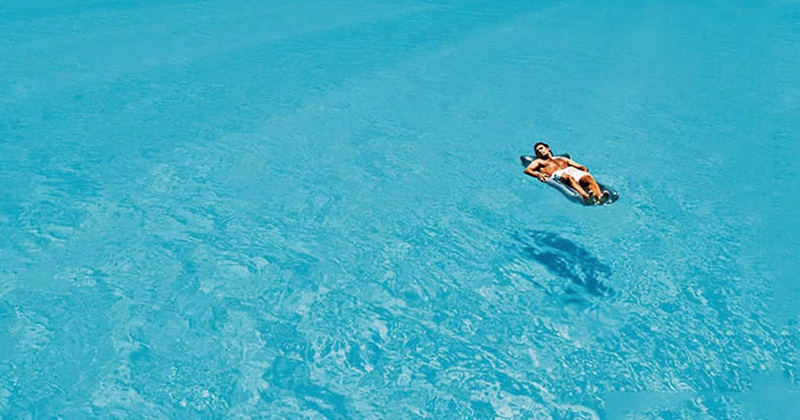 When people see these photos for the first time, they think they're looking at the sea. 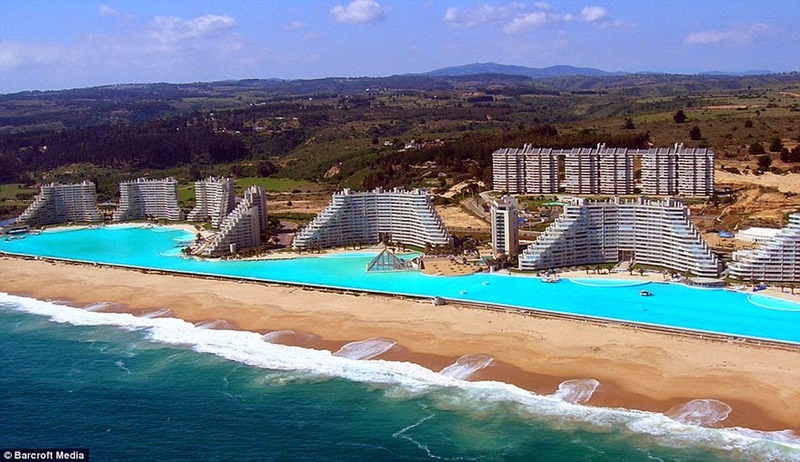 But what they don't realize, is that it's actually a tremendously large swimming pool. The pool opened 8 years ago, in December 2006. 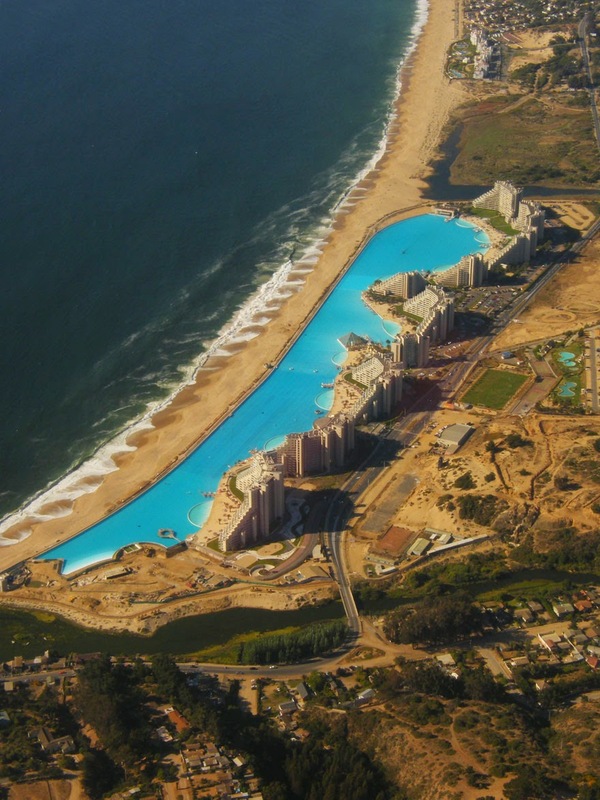 It currently holds the Guinness World Record for largest pool in the world by area. 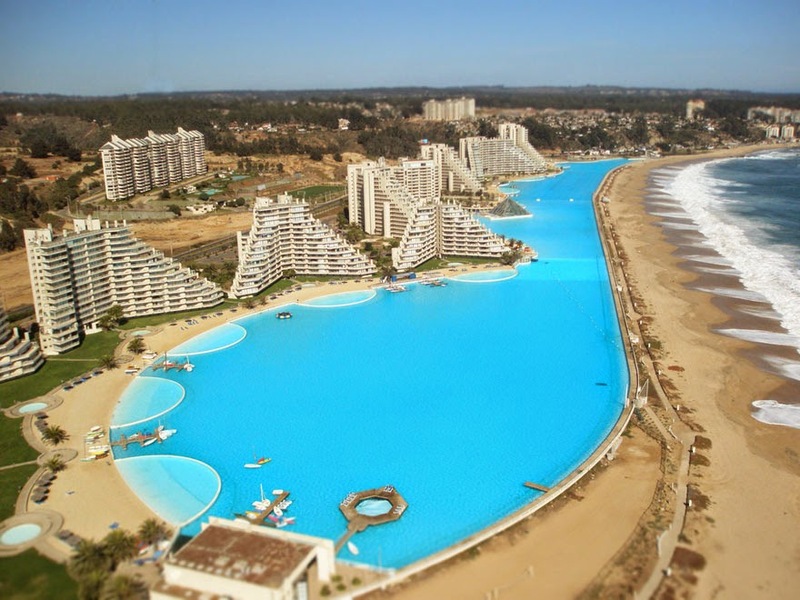 The San Alfonso del Mar is a private resort in Algarrobo, Chile that boasts the world's largest swimming pool. Not a bad tourist attraction. 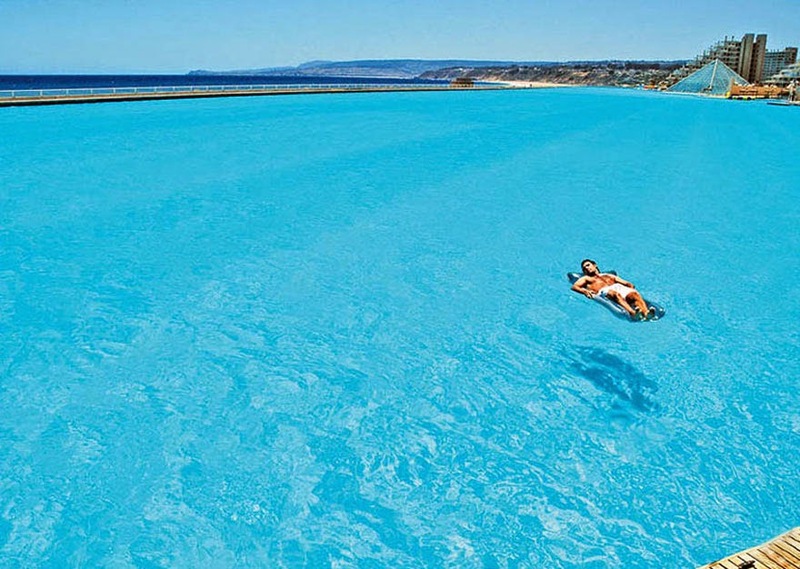 The pool is 0.6 miles long covering 20 acres in total. 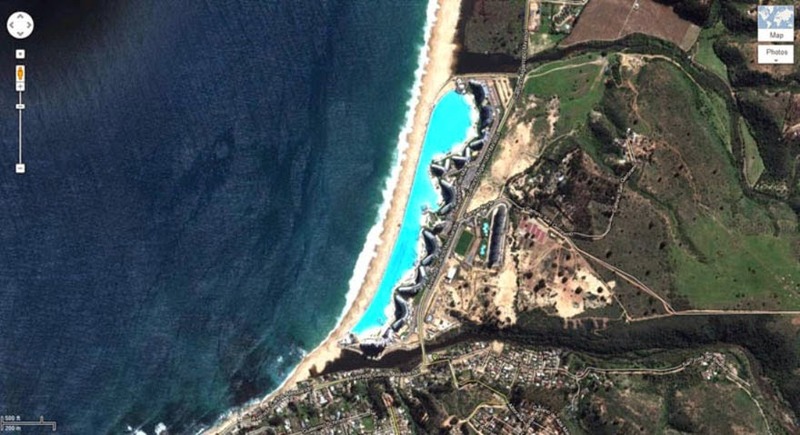 At any given time it contains around 66,000,000 gallons of filtered seawater from the Pacific Ocean. That water color. Just wow. 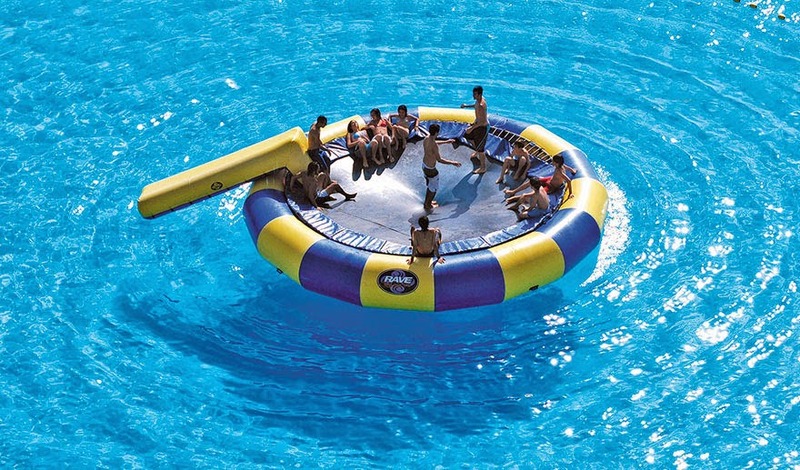 Making such a huge swimming pool wasn't cheap. It cost an estimated $1.5 to $2 billion to build. The water filtration system alone cost about $3.5 million. 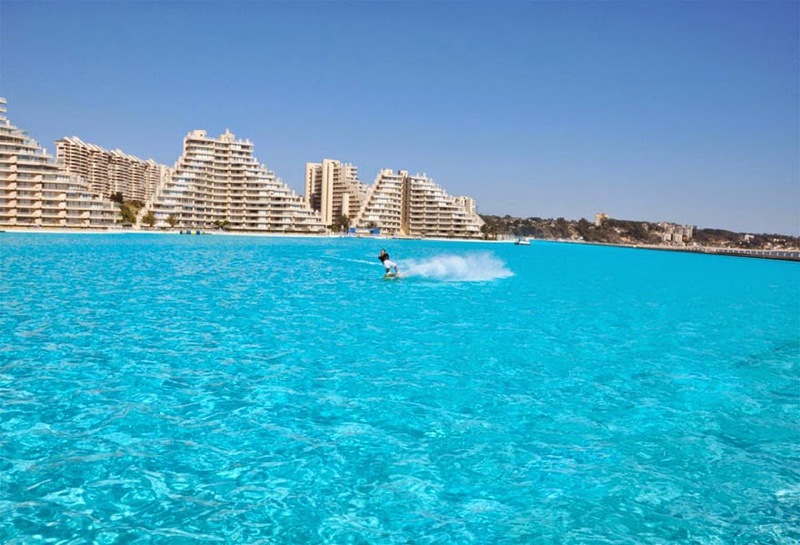 The owners decided they wanted the water to stay as clear as possible at all times. 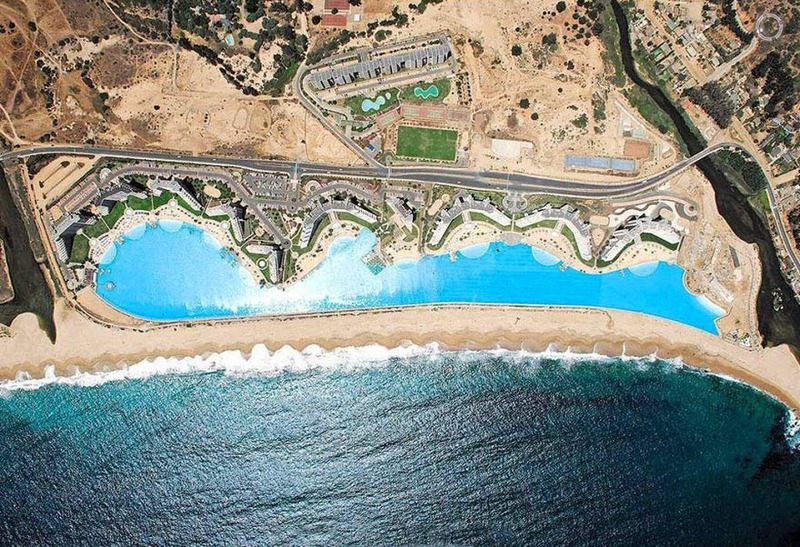 Google maps aerial view of the pool. Annual maintenance for the pool costs about $4 million. 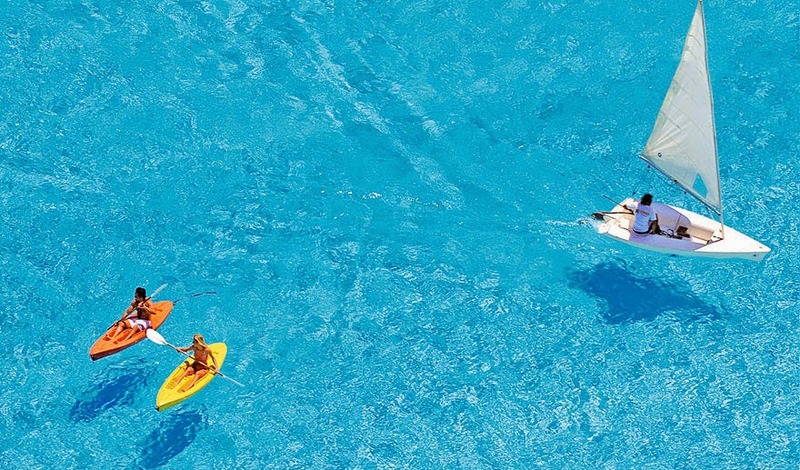 It's perfect for people who love the water, but are afraid of oceans because of sharks. 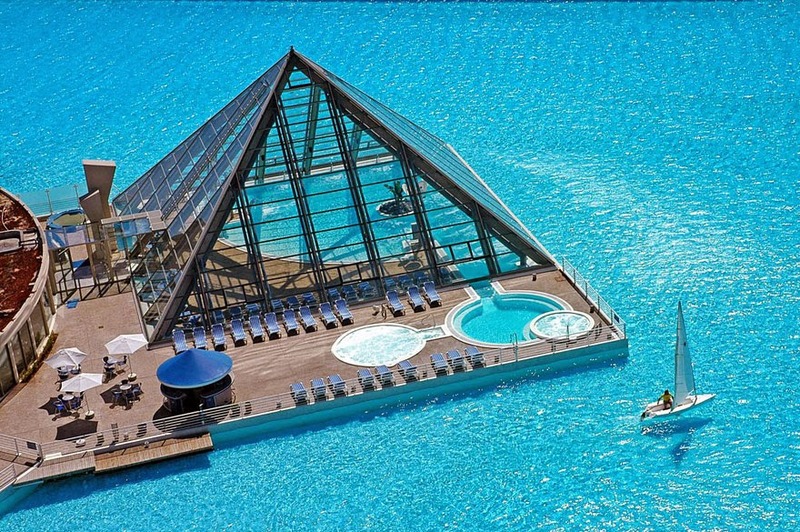 Have you ever wanted to go sailing in a pool? Now you can. The pool water is about 16°F warmer than the ocean. For some people, this is their type of water. 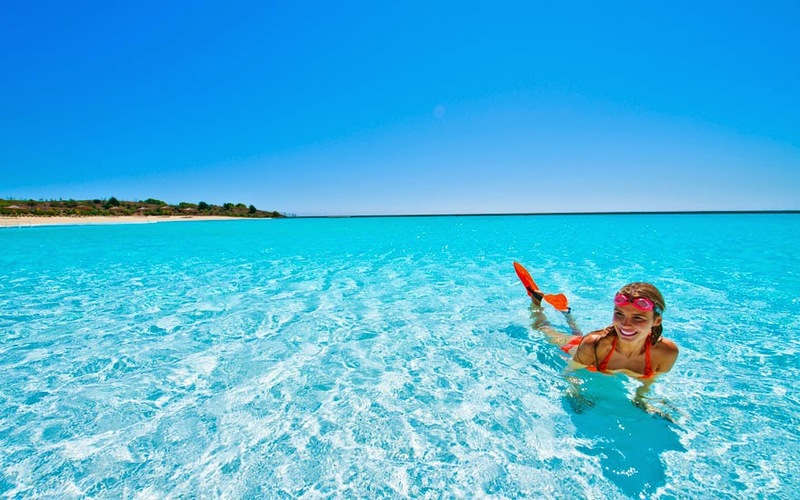 There are those who prefer the sea, but others want to swim peacefully without worrying about creatures brushing their feet. 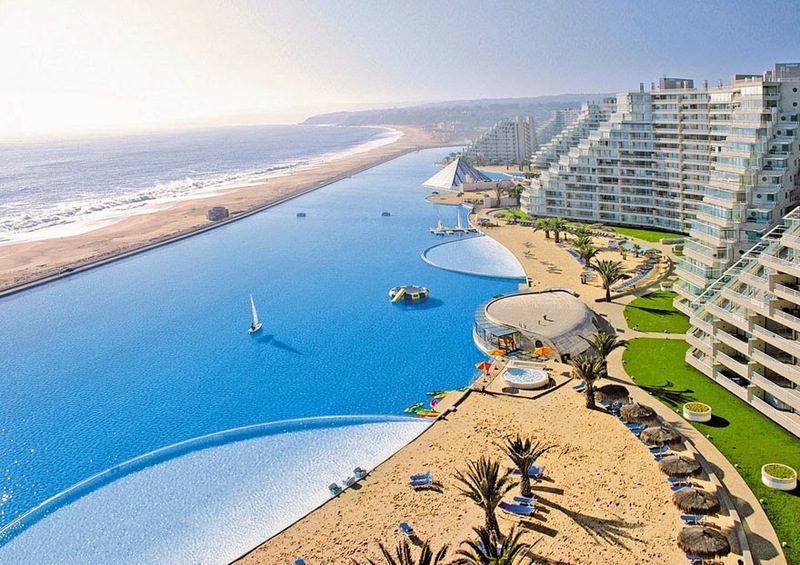 This Is What Swimming Pools Will Look Like In The Future! WOW! !